Wynwood leaders are asking transportation planners to consider placing a permanent Midtown Tri-Rail station near their neighborhood. Last week, the Florida Department of Transportation announced that they would fund half of the Midtown demonstration station project, with the other half to be funded by the city and county. The station is planned to be built just north of 36th Street, under the I-195 overpass, representatives of South Florida Regional Transportation Authority told The Next Miami. Wynwood’s Business Improvement District is now advocating for a permanent Wynwood-Midtown-Edgewater station to be built closer to 29th Street, an area which BID leaders say is capable of sustaining a station for the long term, regardless of what happens with the temporary station. Yesterday, the BID released a study by urban planner Cesar Garcia-Pons showing that a Wynwood-Midtown-Edgewater Station station at 29th street would serve an area with up to triple the development capacity compared to a Wynwood-Design District station at 36th Street. The Wynwood BID says they will now share the results of the study with City of Miami of elected officials, as well as members of the City administration for their consideration. Additionally, the BID will ensure that Miami-Dade County Commissioners, relevant members of the administration and members of the Miami-Dade Transportation Planning Organization receive copies of the garcia-pons+associates research document. Lastly, the study results will be shared with Grupo Mexico, owner of the FEC Railway, the South Florida Regional Transportation Authority, and residents of the Wynwood-Midtown-Edgewater area. Only makes too much sense to place a station more centrally located to service all the nearby areas but knowing the local politicians they’ll bungle this. The Design District and residential areas like Buena Vista and Little Haiti are nowhere near as dense and won’t get as dense as the area to the south. This is only getting built once so make it count now. This proposed location makes more sense. Design District is beautiful but there’s no housing there, not everyone that shops in those high-end stores take public transit. The new location is in Wynwood (which is growing exponentially), and Midtown. Although instead of Tri-Rail I would prefer a Metro Mover station there. Exactly, midtown and wynwood have more residents and more regular venues and stores compared to the current propose site north of 36th street. I’d rather see a streetcar with dedicated right-of-way, and connecting Miami Beach. It has better capacity and won’t spoil streetscapes like it did along streets in the historic core. Um. It should be a dual Metro Mover/Tri-Rail station. Only building one or the other, or building a station at 36th St instead of 29th-ish is poor planning. Unfortunately, if we have to wait 15 minutes for a metrorail train and then another 45 minutes for a tri-rail train, it will take over an hour to get to Wynwood from Brickell. Hopefully, they have a local service that runs from this station to Miami Central that runs more frequently. My point exactly. Just expand the Metromover all the way up to Wynwood and Midtown. I take the Metromover all the time and they come every 5 minutes during peak hours. Furthermore you do not need a huge station as you would for a Tri Rail and you could build them right where the all the stores and restaurants are. People want convenience, they do not want to wait for a train for 45 minutes that will leave them so far away from the action they have to walk a long distance in the heat to get there. For any expansion, Metromover needs proper trains rather than little airport trains. Also, it would have to have fares to pay for it. Yes and I think the metromover should run three cars on the North Miami Ave route. Build the north bound platform north of the street and south bound south of it. Then crossing guards can go up while the train is in the station. It’s not like anyone going to buy a Louis Vuitton handbag or Cartier watch is going to be jumping on the Tri-Rail anyway… 29th Street makes much more sense. Should have been part of the construction at the old banana site , however, that ship has sailed and you need a long piece of land for a station. Amazing!!! We will have connectivity to FLL Airport directly from Downtown. It will be so easy to go from MIA Airport – FLL Airport. Way to go. I like the idea but I’d prefer Metro Mover or MetroRail stations. This will be a commuter rail station. Tri-Rail as of now only runs trains hourly to the airport. Even when Coastal Link service is running, 4 trains/hour is a long way off. We should include potential transfers too, not just folks who start or stop in the local area. The 36th Street location connects with 9 MDT bus lines plus Miami trolleys. Tri-Rail runs peak morning/evening service of about 20min during week days, then hourly during off peak and weekends. Thanks, I must have been looking at a weekend or out of date schedule. Thank you. 36th Street allows for an intermodal connectivity. The hub and spoke system allow riders to travel in all directions from there. Includes Wynwood, Allapatha, Little Haiti, and South Beach. The Miami Trolleys would do a great job. This is a great factual analysis on residential or commercial density that justifies a Wynwood station on it’s own. Add to that tourism to Wynwood of another 50,000 plus on the weekends and it is a grand slam. 29th would be a better location next to midtown and wynwood. But like the current proposed site that is north of 36st and in the design distract. Build an elevated platform and let developers build on top of it to recoup the extra costs. Sort of like a mini Miami central station in between Wynwood and Edgewater. In addition to this, Brickell has limited land left. Only a few spots remain where towers can go, so that will play into price growth but for now and the next couple years, Brickell will have some great deals due to excess inventory. Brickell is great, but could use some schools and more green space. Why, because you don’t have enough green space and schools where you live? There are robberies in brickell 3am next to the BCC walkway that is under the metromover station and next to that 7/11 next to brickell metrorail station. I hope you’re also taking English classes between trips to the Merc dealership and Jimmy Choos in BCC. Good luck. Gene,I can really see what kind of miserable poor person you’re.. Just because of your comment, I can truly see your personality and what I can tell you is , you will be poor ,miserable and unsuccessful all your life.. I started 3 companies with $2K investments that generates over $60M in sales with my English so I think my poor English is good enough for me to be successful but your beautiful English with reflects your bank account. So maybe you should become a English teacher ,maybe you can make few extra bucks buddy. 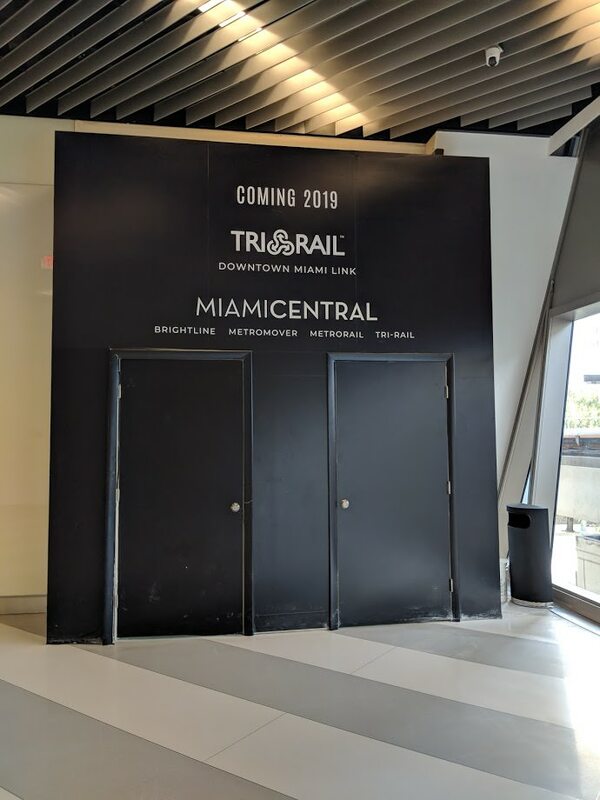 Sorry, are you making a case for a TriRail stn in Brickell? Because that was the original topic…location of a Tri Rail stn. I welcome an opinion and/or rant any day but pouring it in the right place helps. Yeah your off topic, but I agree with your rant. Wynwood is exactly what developer love, an over priced concrete jungle. Plus, what it is today, yes it has some charm, it won’t be that tomorrow. And midtown, that’s a joke. Midtown is Dadeland 2.0. You people may wanna give this anonymous person thumbs down because he said – “I really don’t understand why people likes Wynwood. Ok ,the art etc is nice but there nothing in Wynwood other than that” – but he’s absolutely correct and spot on. I agree, I never understood the appeal of Wynwood either. It’s OK I guess, but nothing amazing and certainly not yet the level of good urbanism as downtown Gables or downtown Grove. Ironically even thought Brickell is more urbanized it’s also not quite at the elite level of good urbanism as Gables or Grove, or certain places on the beach (like say that short 2 block section of Espanola way). But it’s starting to get there. Keep in mind it was just a sleepy financial district until about 15 years ago, where everyone left promptly at 5pm. So it’s catching up fast. Wynwood still doesn’t quite have that “sense of place” (as the new urbanists call it) that the other aforementioned do.